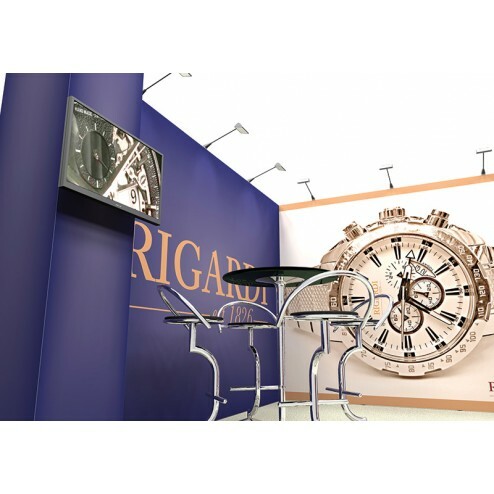 Installation & Removal Available. 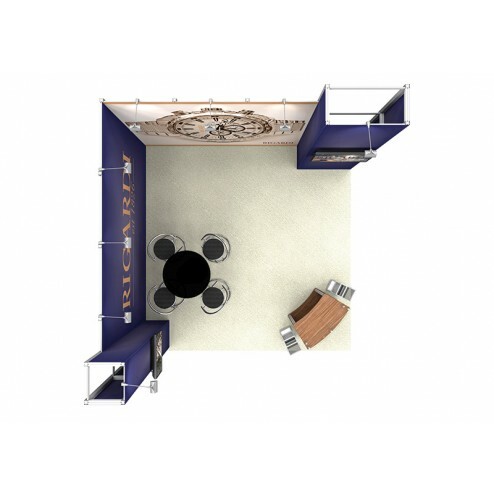 Click the customise link below for a quote. 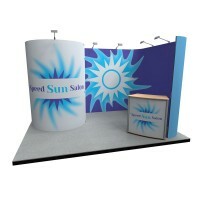 This stand has a linear and vector construction, which allows seamless graphics using silicon edged textile fabric. 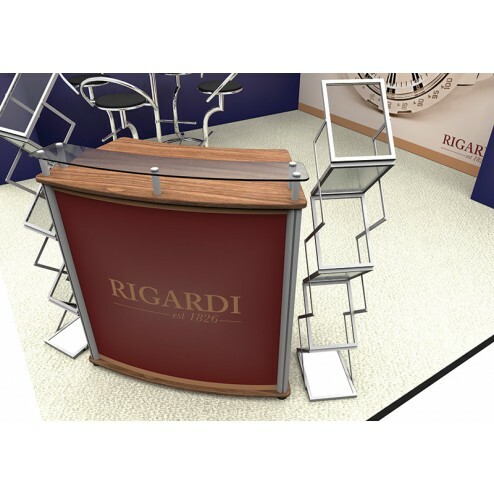 If you'd rather have a rollable or rigid graphics material, please call us on 0844 800 1020 and we can produce your stand with the graphics type of your choice. 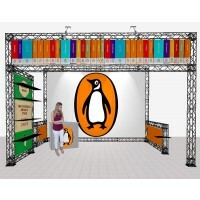 Linear and vector stand allow for fixing points for lighting, TV mounts, literature holders and a choice of straight or curved panels. 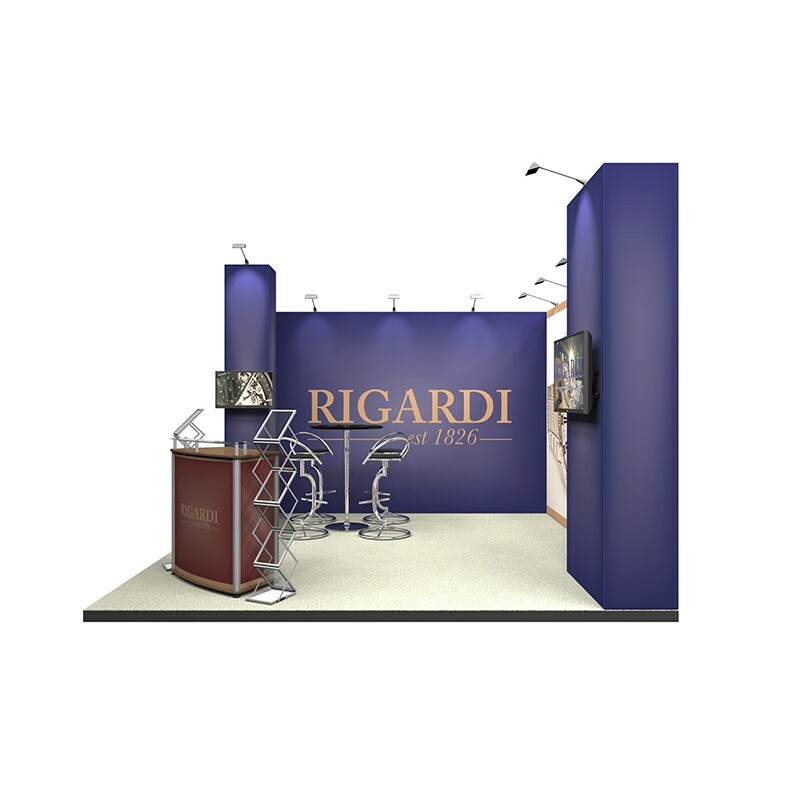 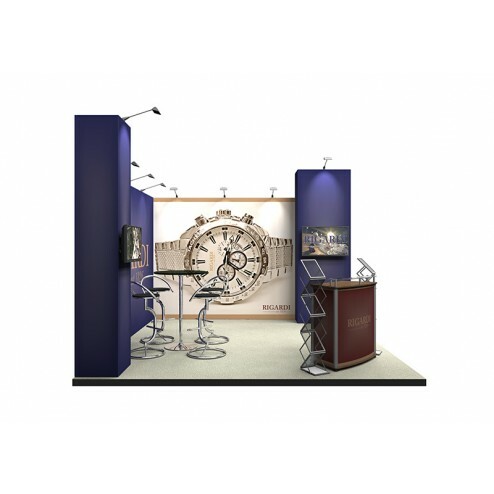 One the key features of this stand is that it is re-configurable, allowing you to add/remove elements and change graphics easily for your next show, extending the life of your stand and delivering great value compared to other exhibition stand systems. 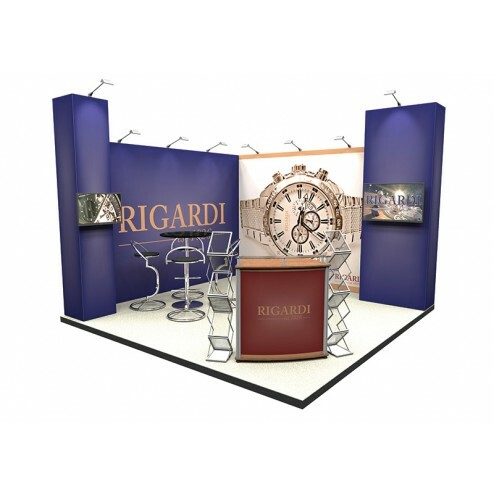 If you like certain elements of this stand, but want to tweak it, or if want a completely different look but using the same modular construction, click on "Customize this stand", fill in your requirements and our team of experts will come up with a proposal to fit your exact needs.